Ransoms Residential are delighted to present as available to let this lovely, bright, and spacious 2 bedroom ground floor apartment situated within an exclusive listed Georgian building in Heavitree, Exeter. An absolute must see home! 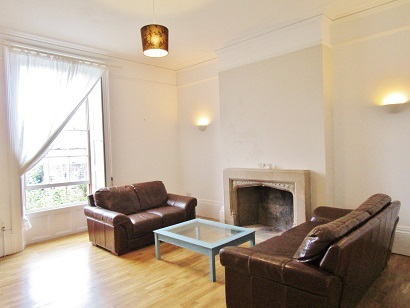 This lovely home has recently been converted and is 1 of 3 high quality apartments within the building. The communal areas are beautiful with an original entrance way and staircase fitted with thick luxury carpets, chandeliers and stained glass windows. This particular apartment occupies the ground floor which benefits from large original arched windows complete with original shutters. 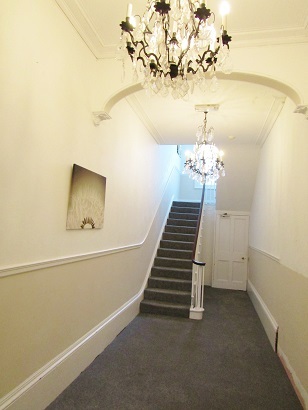 On entry you are met with an entrance hallway painted in white with white woodwork and superb solid wood flooring. 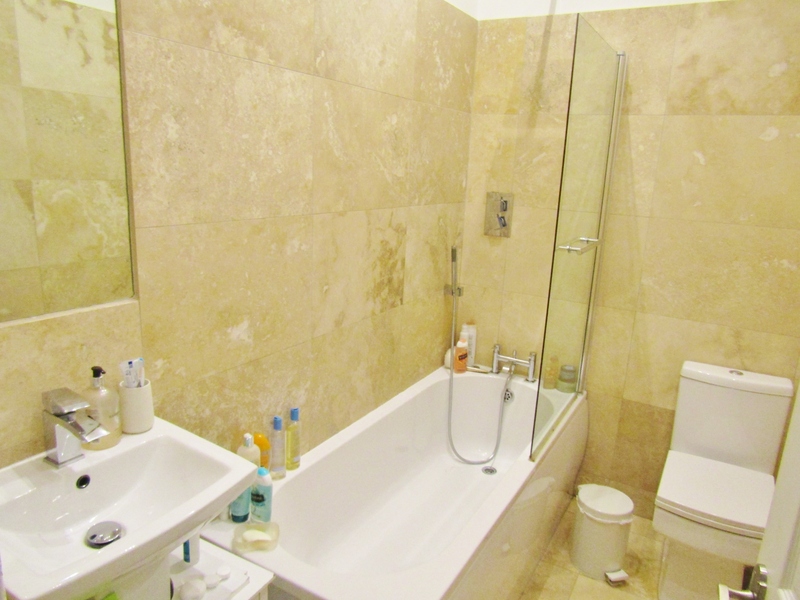 The hallway provides access to the lounge, 2 double bedrooms and the main bathroom. The lounge is a fantastic space with long sweeping walls, original cornice, amazing high ceilings and swathes of solid wood flooring. There is a large original window which looks over the back of the property and allows plenty of natural light to flow in. The lounge is large enough to accommodate lounge furniture and potentially dining furniture with a large intricate stone fireplace providing an amazing focal point. 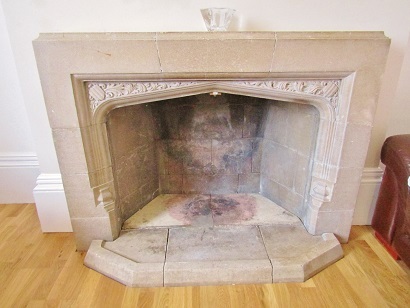 The only fireplace to remain in the building. The kitchen is open plan via a large square arch way and provides a fully fitted, high quality kitchen. 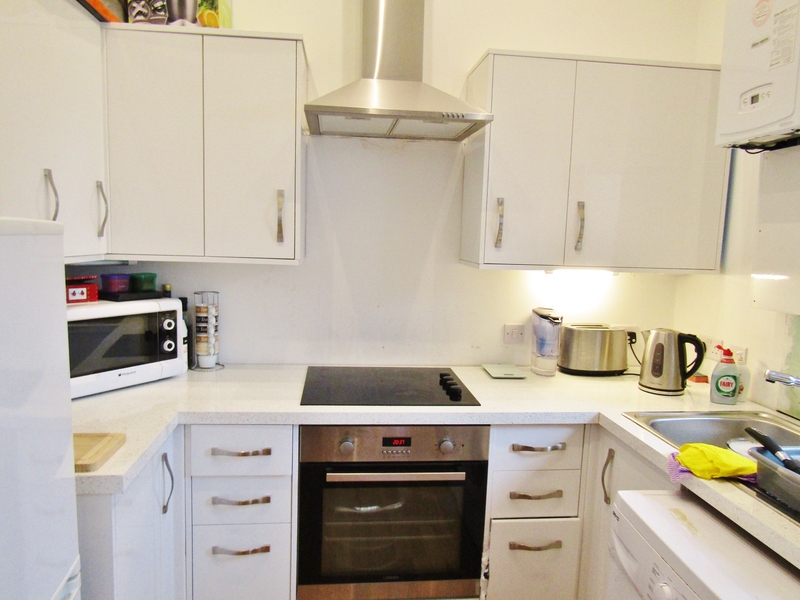 High gloss white units with integral oven, ceramic hob, a fridge-freezer and washing machine are all provided with a very complimentary granite effect, square edge work surface. The bathroom is once again filled with top quality materials from the large floor and wall tiles to the full modern white suite including a rain drop shower over the bath, The 2 double bedrooms are are a good and almost equal size and make use of the lovely original Georgian arched windows, once again complete with original shutters. These rooms are neutrally decorated and fitted with good quality carpets. This property really is very exclusive and must been seen. The property comes with full gas central heating and private off road parking. The location is within walking distance to Exeter City Centre and is only 5 minutes walk from the shopping area of Heavitree. Additionally this property is within a short walking distance to Exeter RD&E Hospital - major bus routes and Waitrose supermarket so everything you need is available. 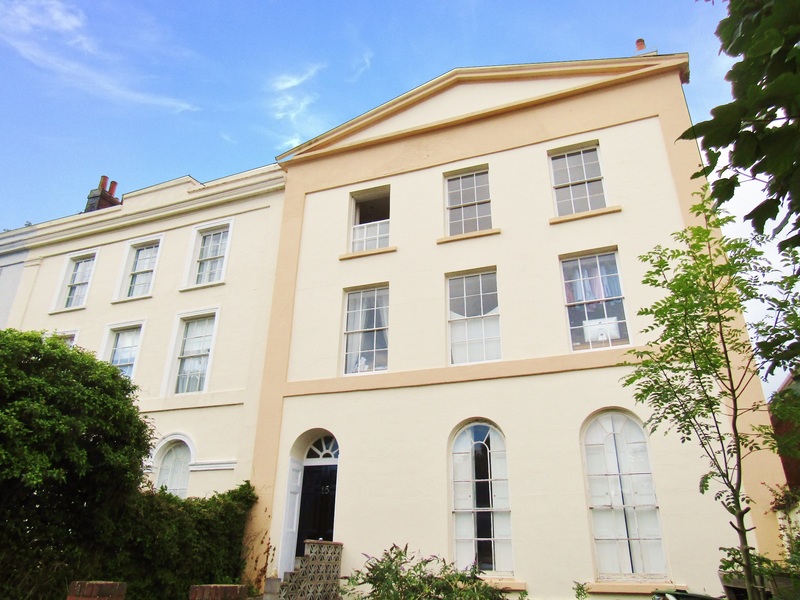 The building itself is located in an affluent area of Heavitree on the border of St Leonards. Situated within a quiet, private road and forming part a short row of highly desirable Georgian homes this particular apartment offers peaceful, convenient living and directly overlooks a pretty private green for the residents. An absolute must see!